Lea assists the dentists with office operations, develops systems, and focuses on patient retention. She's also our human resources manager. Lea grew up in Athens, and she now calls Eatonton home. Her education includes a paralegal degree from Georgia College. She finds the patients to be wonderful and the team to be amazing, and she appreciates that each day in the office is different and exciting. For 15 years, Lea worked in the hospitality industry, and she has a strong background in customer service – she loves people! Her hobbies include reading, being outdoors, spending time with her husband and daughter, and spending lots of time on the lake. Her husband Chris owns Justice Marine, so boating is an important part of family time. Angela joined our office in April of 2013 and has more than 25 years of experience in her field. Among other duties, she is responsible for assisting our patients with scheduling and answering their financial questions in a way that is straightforward and easy to understand. Angela loves the fact that our practice is so focused on customer service, and she really enjoys making sure that our patients are thrilled with their treatment. She and the rest of the team take great pride in the artistry of the doctors’ work. Angela and her husband Terry have two sons: Charles, who is married to Adrianna, and Jackson, who is married to Breanna. She has been a proud member of the Gator Nation since 1983 and is a lifelong Braves fan. In her free time, she likes relaxing by the pool, reading, music, and spending time with her loved ones and dog Jerome. Rebecca may be the voice you hear on the phone when you call, scheduling your appointment or greeting you when you check in. Originally from Haines City, Florida, she now lives in Greensboro and first joined our practice in 2012. With her Associate’s Degree in Hospitality, she's a great fit for customer service. Our staff, office environment, and service to the community are all reasons she enjoys being on our team. When she has time, she enjoys reading and crafting, and she's married with a young daughter. Taryn joined Lake Oconee Dentistry in August of 2015. Taryn’s friendly, welcoming attitude made her the perfect choice to serve patients. She is happy to assist patients with questions, concerns, scheduling, and payment planning. Originally from Gwinnett County, Taryn studied photography at the Art Institute of Atlanta and still loves nature photography. She lives with her husband and parents on a farm in Madison and spends a good deal of her time outside the office working on the farm and caring for her dog Baloo and three cats. Taryn loves trying new things and is currently working on mastering guitar and archery, but her favorite pastime is relaxing with family and friends. Beth helps take care of patients following their clinical work, making sure their next appointments are scheduled and that their financial obligations are in order. She has her Bachelor’s in English and Spanish. She is a lifelong learner and really enjoys that this job gives her so many new opportunities to gain knowledge! She also loves that the team is always willing to work together for the benefit of the patient. Beth was recently married in April of 2018, and her personal hobbies include drawing and writing. After graduating with her Associate’s Degree in Dental Hygiene from Pensacola State College, Tabby wanted to finally get started in the dental world. We opened up our doors and welcomed her to the family, and she has become a valuable member of our group. Genuinely passionate and caring, Tabby loves to help patients achieve optimal oral care, giving them a thorough cleaning when they arrive for an appointment. Outside of work, she enjoys spending time with her high-school sweetheart husband, Jeb, her young son Tripp, and their dog Kilo. Angela was born and raised in Hawkinsville, Georgia. She graduated from Florida Community College of Jacksonville in 1996 with her Associate’s Degree and has been a practicing hygienist ever since. She also obtains continuing education hours regularly, especially in the areas of periodontal disease, sleep apnea, and Invisalign clear braces. Angela joined our team in March of 2002. She educates her patients about long-term optimal oral hygiene and shares with them the newest research about the correlation of oral and full body long-term health. Angela knows that she’s a perfect fit for her job due to her passion for overall dental hygiene and meeting new people. She strives to work with her patients so that they receive her great care while improving the health of their mouth. She says that she’s blessed to have the greatest, most dedicated patients! Angela and Mike are happily married and have a beautiful daughter together. She enjoys cooking, decorating, shopping, boating, and spending time with her friends and family whenever she can. Bridgette is from Gray, GA and graduated from Central Georgia Technical College in 2010 with her Associate’s Degree in Dental Hygiene. She joined the staff of Lake Oconee Dentistry in 2012 and regularly performs dental cleanings to remove calculus and plaque, reviews health history, develops dental X-rays, and educates patients on oral hygiene. She loves the patients that she cares for and the never-ending educational experiences that she comes across. Bridgette appreciates the growth opportunities that her career provides. Her interest in dentistry was sparked during her time as a Dental Tech for a veterinarian’s office, and she knows she’s a perfect fit for this job because she enjoys interacting with patients to make them smile and enjoy their overall dental experience. As one of our valued dental hygienists, A’dre genuinely enjoys working with our patients to help them meet their oral health needs. She emphasizes dental hygiene education, providing everyone who sits in her chair with the information they need to achieve and maintain a healthy, beautiful smile. A’dre loves the way that our entire team works together to provide our patients the best comprehensive treatment possible. Outside of work, she enjoys shopping, learning how to cook, and being outdoors. 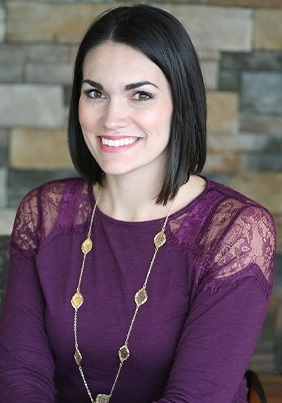 She and her husband Shannon have two precious children named Aubree and Shannon, Jr.
Tricia was born and raised in Milledgeville, GA and joined our team in 2015 with three years of experience in the dental field. She earned her Associate’s Degree of Applied Science in dental hygiene at Central Georgia Technical College in Macon, GA. One of her favorite things about working here is the way that we all come together as a team to give our patients the best care and treatment options available. Tricia especially enjoys her hands-on time with her patients and absolutely loves what she does for a living. Away from the office, Tricia loves reading books, keeping up with all of her favorite sports (she’s a diehard Florida State Seminoles fan), going to the mountains and the beach, working out, and spending time with her family and friends. Leeanna has her Associates in Dental Hygiene, and her career in dentistry spans over seven years and counting. She joined the Lake Oconee team in 2017 and truly loves the people she works with. Her detail-oriented nature and love of helping make patients comfortable will shine through from your first appointment. Outside of the practice, Leeanna and her husband Preston have a smart and funny daughter nailed Bailee. She enjoys spending quality time with them when she isn’t busy at work and teaching her little girl all about life. She also likes doing arts and crafts (Chip and Joanne are her inspiration). Morgan joined our team in February of 2018 and has seven years of experience in oral healthcare overall. She has her Associates of Applied Science in Dental Hygiene and can honestly say that she does what she loves – helping people feel happier with their smiles! She also strongly believes that being a part of Lake Oconee Dentistry has helped her become a much better hygienist. Everyone she works with feels like family. When she isn’t busy at the practice, Morgan spends lots of time with her two babies – her son Ryland and her Golden Retriever Clyde. She and her husband also love taking their boat out on the lake and hiking in North Carolina. Erica worked in urgent care for several years before deciding to pursue a career in dentistry, starting at Lake Oconee Dentistry in 2018. She has her Associates of Science in Dental Hygiene and is currently working on her Bachelor’s in Public Health. She loves being part of such an awesome team and putting smiles on the patients’ faces! Outside of work, Erica loves spending time with her husband Robert, her cats, and the rest of her family. She also really enjoys going antiquing. Brittney became a member of our team in April of 2013 with her Associate’s Degree in both Science and Business Administration, as well as her basic and advanced dental assisting certifications. With a detail-oriented personality and a genuine passion for helping others, Brittney is an excellent asset to our practice. She thrives on interacting with our patients and seeing them love their smiles with the help of our restorative and cosmetic services. Outside of work, Brittney enjoys being outdoors, fishing, going to concerts, and cheering on the Atlanta Braves and the Georgia Bulldogs, as well as spending time with friends and family back home. Originally from Mansfield, GA, Jessica joined our practice in October of 2012 as a certified dental assistant. She loves the daily opportunity to assist the doctors and interact with our amazing patients. In fact, one of Jessica’s favorite things about her job is the ability to help our patients overcome their fears so that they can receive the care they need. For Jessica, patient satisfaction is always #1! She and her husband Billy have two girls named Natalie and Paylin, and they love to stay active as a family. Their hobbies include getting outdoors, kayaking at local lakes, and participating in local 5ks. By receiving personal training from our experienced doctors, Ashley has grown into one of the most talented dental assistants around. She has the ability and technical prowess to assist the dentists with any procedure, and she does so with care, as she loves to help others. When a patient enters the room – new or returning – Ashley is always the first to smile because giving patients comfort and happiness is her goal. She is an animal lover, an expert at scrapbooking, and a friendly, caring individual. Michelle grew up in Cartersville and has been a dental assistant since 2010. She enjoys assisting the doctors, taking impressions, and making temporary restorations whenever needed, and her favorite part of her job is how well everyone works as a team to ensure that patients are all properly cared for. Her caring, calming personality and strong work ethic make her a great fit! Michelle earned her diploma in dental assisting from Georgia Northwestern Technical College. In her free time, she enjoys fishing at Lake Oconee with her husband and going to the North Georgia Mountains and the gulf for vacations. After working in dentistry over a decade ago, Amanda is now returning to the field after being a stay-at-home mom. She’s currently enrolled at Penn Foster in the Dental Assistant program. The team members here at Lake Oconee already feel like family to her, and the practice has a great environment that fosters learning and growing on both personal and professional levels. She really loves getting to know new people through her work and helping them so directly. Outside of work, Amanda and her husband have a son and a daughter. Her hobbies include gardening, reading, watching the Bulldawgs, volunteering for community events through her church, and (of course) spending quality time with family. Michelle originally hails all the way from Rochester Hills, Michigan, but she has lived in Georgia since 2001. She graduated with her Bachelor’s of Science in Journalism from Oakland University in Rochester, Michigan and has over 14 years of experience in journalism, public relations, and marketing. She’s responsible for Lake Oconee Dentistry’s business development, which includes their planning, development, implementation, and tracking of all marketing strategies. Michelle also assists in the creation of artwork and design for the marketing efforts. She loves that the whole staff of Lake Oconee Dentistry works together as a cohesive team toward their common goal of achieving 100% patient satisfaction. Michelle is happily married to her husband Todd, and together, they have three wonderful children. In her spare time, she enjoys reading, crafting, waterskiing, and spending as much time on the lake as possible with her family and friends.